YouTube and Social Media star Lilly Singh will soon be seen hosting her own late night show. The show, A Little Late With Lilly Singh, will feature comedy sketches as well as guest interviews. She will take over late-night host Carson Daly’s time slot on NBC. The half-hour show will begin airing September 2019. With this show, Lilly will be the first woman to host a late-night daily show on a major network. 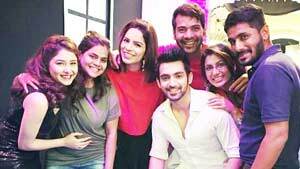 One of the top-rated and longest-running television show’s Kumkum Bhagya leaped a generation with new actors joining the cast. The previous plotline saw the lead pair Abhi (Shabir Ahluwalia) and Pragya (Sriti Jha) getting back together and Pragya giving birth to twin daughters. However, things worsen when their elder daughter Kiara dies, and the couple blames each other for the tragedy. The couple parts ways and decide to raise their daughters individually. The new show begins 20 years in the future, focusing on the twin sisters Prachi and Rhea. Prachi who has been brought up by her mother is a mature, well-grounded girl, while Rhea is shown as a spoiled brat brought up by her rich and famous father. TV actresses Mugdha Chaphekar and Naina Singh play the roles of Prachi and Rhea respectively. Mugdha is well known for her roles in the shows Prithviraj Chauhan, Satrangi Sasural, Solhah Singaarr, and Dharam Veer. Naina rose to fame with reality shows MTV Splitsvilla and India’s Next Superstars. As the show storyline will now focus on Abhi, Pragya and their daughters, some of the previous cast members have left the show. 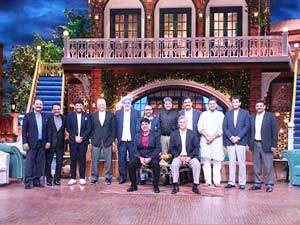 The Kapil Sharma Show gifted Indian cricket fans everywhere when he hosted the 1983 World Cup winning team together on his show in early March. The trip down nostalgia lane for television audiences was witness to a team that earned an iconic win that changed the face of Indian cricket. It was a treat for viewers to see Kapil welcoming then cricket team captain Kapil Dev on the show. Other team members to attend the show included Sreekanth, Mohinder Amarnath, Sandeep Patil, Kirti Azad, Roger Binny, Dilip Vengsarkar, Madanlal, Yashpal Sharma, Balwinder Sandhu, and Sunil Valson. Sunil Gavaskar also joined the show but through video chat as he was in Goa with his family. Kapil shared photographs of the iconic match, and it was a treat to see team members remembering the winning day and its glory. The cricketers also shared inside stories, trivia, and anecdotes from 1983, delighting fans. 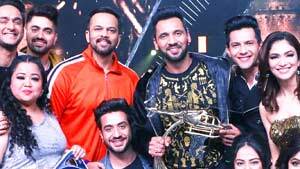 One of the most top-rated seasons of reality show Khatron Ke Khiladi has finally come to an end with Punit J Pathak taking the winner’s trophy. Director Rohit Shetty, who has hosted four seasons of the show so far, hosted its 9th season as well. Khatron Ke Khiladi is the Indian version of the popular American show Fear Factor. Punit was in the grand finale along with singer-actor Aditya Narayan and TV actress Ridhima Pandit. He not only won the coveted trophy, but also received a cash prize and a Swift car. Punit was appreciated throughout the season for giving a consistently amazing performance on the show. He won almost every task that he performed and was never in any of the elimination tasks. Bollywood star Akshay Kumar also graced the finale of the show. Apart from Punit, Aditya and Ridhima, Bollywood actress Shamita Shetty and TV actor Aly Goni also reached the final week of the show. Other contestants who took part in this season included TV personality Bharti Singh and her husband Haarsh Limbachiyaa, TV actress Jasmin Bhasin, TV actor Zain Imam, producer-host Vikas Gupta, actress Avika Gor, and ex-cricketer Sreesanth. Hina Khan has been making headlines ever since she became Komolika in Kasautii Zindagii Kay. The latest rumor is that she quit the show midway. It was also rumored that the show producers are currently looking for an apt replacement to play the character. While the news of her taking a break from the show is true, she is definitely not being replaced.